Based on data received or estimated by United Nations High Commissioner for Refugees (UNHCR), total of 68,608 applications (first instance, appeal, etc) were filed by Iranians during 2016. 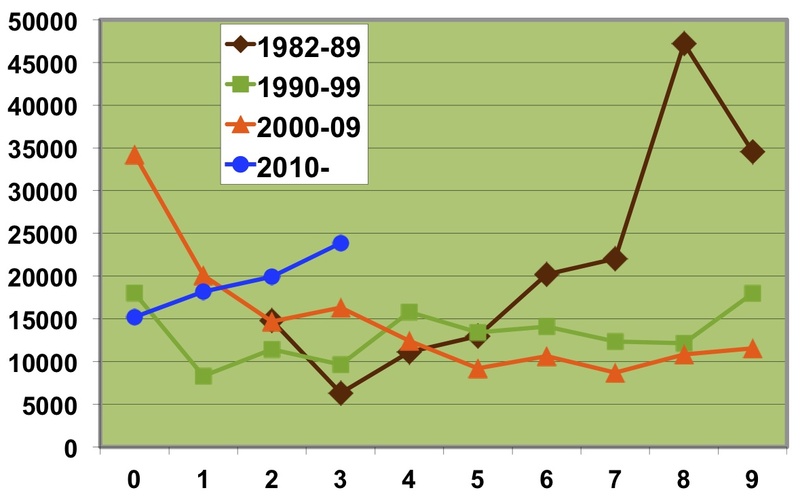 The seven countries that received the largest numbers of new applications from Iranians were Germany (26,426), Turkey (12,115), the United Kingdom (4,792), Australia (2,971), Austria (2,400), Albania (1,942), and Iraq (1,545). در طول سال ۲۰۱۶ تعداد ۶۸٫۶۰۸ درخواست پناهندگی (مرحله اول یا فرجام یا بازگشایی) از سوی پناهجویان ایرانی در کشورهاى مختلف به دولت ها یا دفاتر کمیساریای عالی پناهندگان ارائه شده است. هفت کشور که ایرانیان در آنها بيشترين تعداد درخواست های پناهندگى را داشته اند به ترتيب آلمان (۲۶٫۴۲۶)، ترکيه (۱۲٫۱۱۵)، انگلستان (۴٫۷۹۲)، استرالیا (۲٫۹۷۱)، اطریش (۲٫۴۰۰)، آلبانی (۱٫۹۴۲)، و عراق (۱٫۵۱۸) بوده اند. Your tax-deductible gift will help Iranian refugees find a safe home where their human rights are respected. Please make checks payable to IRA Inc. or donate with your Credit Card. 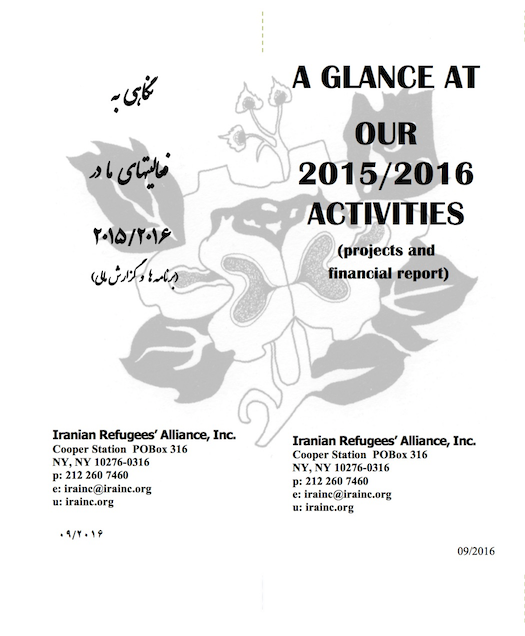 Iranian Refugees' Alliance Inc. is a 501(c)3 tax-exempt organization. 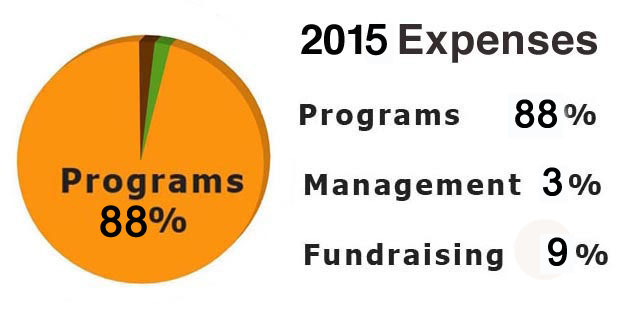 Donations are tax deductible to the extent allowable by the law.